In the official Splatoon 2 artbook, Nintendo published tons of concept artwork and early sketches of various characters, including the famous Off The Hook band. Besides the early concept artwork of Pearl and Marina we’ve shared yesterday, another early sketch in the artbook shows Nintendo was planning to make Pearl an Octoling at one point in time. 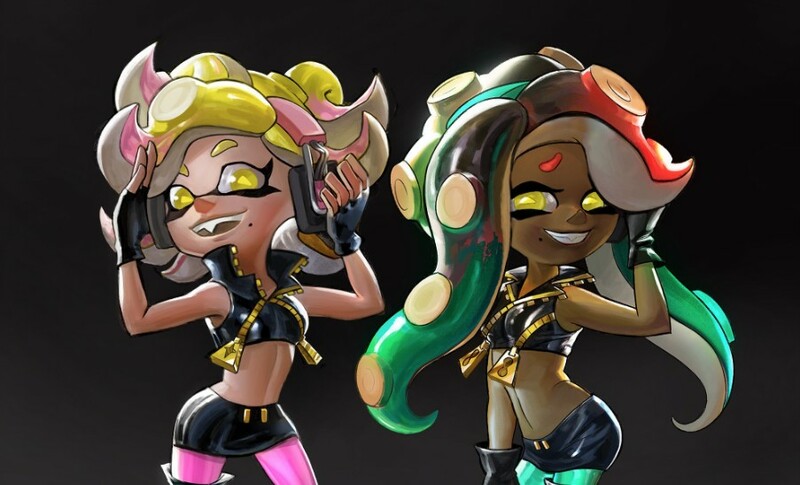 Of course, this idea was scrapped as Pearl is an Inkling. Chris, a fan of Splatoon and illustrator, has created a piece of beautiful artwork based on this early sketch. Check it out below.